23 Walkview Crescent, Richmond Hill. ON. 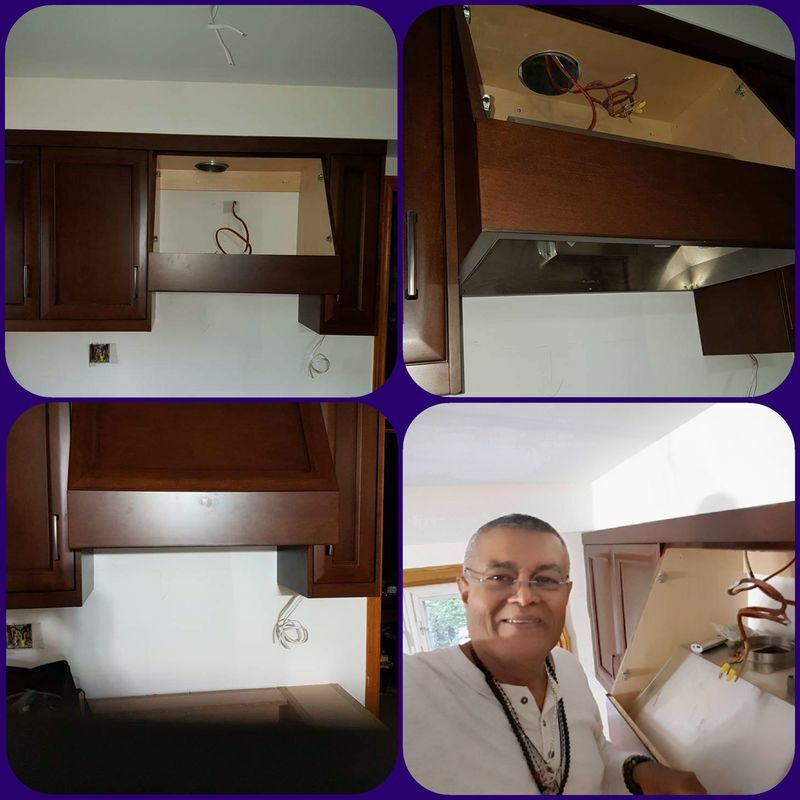 We repair and clean Vent-A-Hood kitchen ventilation systems as well as restore older custom built Vent-A-Hood systems that are over 30 years plus. We install new Vent-A-Hood systems and prepare the appropriate mechanicals to the outside wall vent. Let us do the dirty work: set up cleaning schedules for cleaning the units as needed. Wondering which might be the right Kitchen Appliances to buy? Why not get a third opinion from an expert. Do it right the first time. Vent-A-Hood's Storied History celebrated 84 year in existance in 2017. Vent-A-Hood was the first ventilation and range hoods producer. The company started its way in a house with a dirt floor in Dallas, Texas. The first rangers were sold by the owners, who walked door to door, trying to sell their ventilation systems. Once they succeeded in selling a product, the owners would go back to the shop and build what was needed. Vent-A-Hood officially opened in 1933. It became a family owned business in 1938 under the care of financier Carr P. Collins. Today the company`s CEO is Miles Woodall III, the son of Collins nephew. In 1961 Vent-A-Hood moved to the city of Richardson, Texas. At Vent-A-Hood the main focus is on improving their leading products, using the newest most efficient technology and quality materials while keeping in mind safety and cleaning issues. In terms of innovation, Vent-A-Hood aims to make constant changes to the ventilation systems for customer`s satisfaction. On their official website, Vent-A-Hood has a large support system, designated to certain locations, customers are able to find the nearest location to their home. Under the column 'support' customers are able to contact the company via phone or email. The official website also offers maintenance and parts registration for their products as well as a warranty check. There is no doubt that Vent-A-Hood was an advancement made in our world, kitchens never looked so fashionable. How often is your Vent-A-Hood system cleaned? Did you know that after frying you should clean the system? If left too long heat will turn grease into a polymer type plastic and will be difficult to clean, it literally gets baked on to the stainless steel. Let's schedule a cleaning program today. The build-up of dust and grease on the blower wheel we call Mung will cause stress on the motor causing it to break down prematurely. Vent A Hood Canopy style unit. We had problems with our Vent-A-Hood system from Day 1. Smoke would often fill our house and the smell from last night’s meal would hang around the entire next day. After a visit from the Fire Department, it was clear that something had to be done. I found Glenford through an online search. I sent him an email and he called soon afterwards. He had my confidence when he said that Vent-A-Hood was his passion. We scheduled a service call the next day. He arrived on time and after a quick inspection he explained that the problem was not from the system, but that it had been improperly installed. At Vent-A-Hood University they stress the need for 2 exhaust ducts, but my contractor had cut corners and had all three blowers venting into a single duct. Glenford went through the work that would be required and gave me a quote that was less than I paid for the original installation. I’m happy to say that our house is now smoke-free and there are no more lingering odours from meals gone by. Glenford was a pleasure to work with and the final price was exactly what he had quoted – no surprise extras. 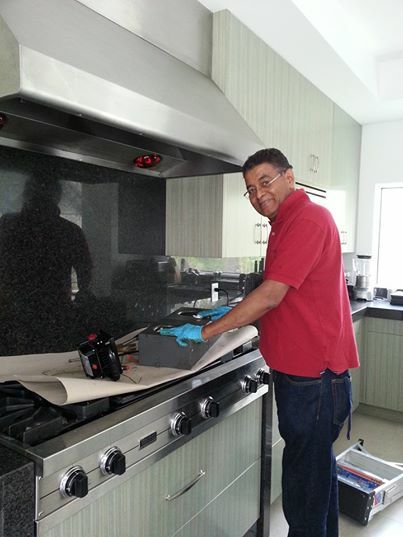 If you live in the GTA and are experiencing problems with your kitchen overhead exhaust, Glenford is your man. I found Glenford by the recommandation of Vent-A-Hood. I am impressed by the excellent work done by him. He replied to my request in a timely manner and showed up on time. His quote was how much he charged when the work was completed although the job was much more complicated than anticipated. I did pay extra as I appreciated the extra time and effort he spent, his honesty and good workmanship. He's a reliable guy to work with from start to finish. What he done has exceeded my expectation and I'm completely satisfied. I would recommand him without hesitation.